This post has been sponsored by Tube Submitter Tool To help you get more views. The Taiwan Foreign Ministry on Tuesday called on the countries of the area not to be alarmed by the routine maneuvers using real fire to be carried out around the disputed island Taiping, in the South China Sea, between the 21st and 23rd of November. The military practices, carried out by the Island Coast Guard, are “routine” and “not offensive”, and will be carried out next to the island, also called Itu Aba, explained the island’s diplomacy in a statement. 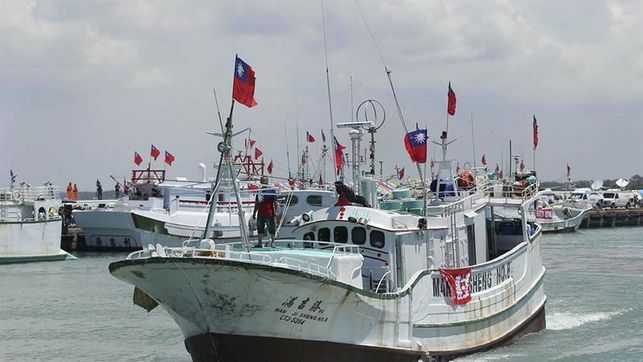 Taiping, the largest of the Spratly Islands, is located 1,600 kilometres from the southern city of Kaohsiung, home to some 200 Taiwanese militaries and has an airport and a dock. The Coast Guard ensures that its equipment is only for defence and scientific and humanitarian operations, including the rescue of castaways. Vietnam has issued a protest after the announcement of these maneuvers, which Taiwan insists are routine and annual. Brunei, China, the Philippines, Malaysia, Taiwan and Vietnam claim totally or partially more than a hundred islands and atolls located in the South China Sea, an area rich underwater reserves of oil and gas, important fishing grounds and one of the main shipping routes. Newer PostVIDEO: A Fire in the Middle of the Atlantic Ocean?